It can be hard to maintain healthy habits while traveling, and staying hydrated is certainly one of them. Whether hopping on a flight for a business trip for going on a two-week vacation, any change in your routine will likely affect your water intake. Dehydration can also worsen the effects of jet lag, making it harder for you to adjust to a time change. 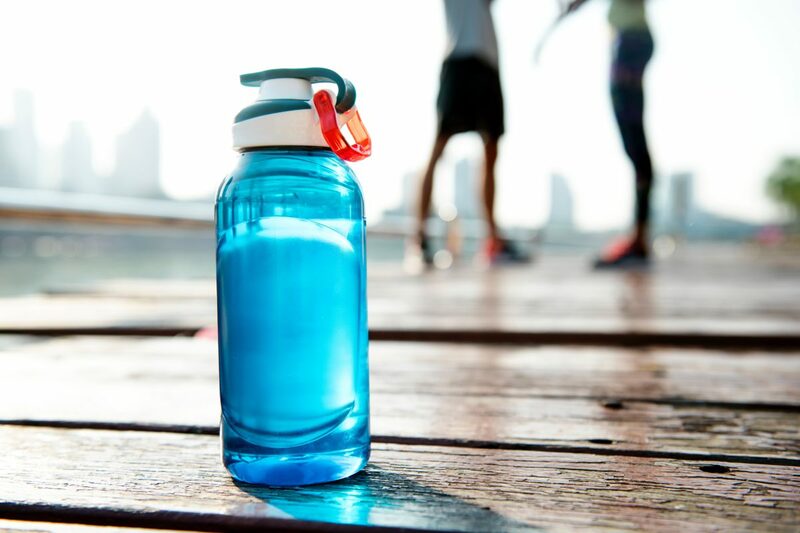 While there isn’t one trade secret to staying hydrated while traveling, here are several tried-and-true tips that can help you be disciplined on the road. When you’re traveling, it’s tempting to leave behind your refillable water bottle because it’s bulky, heavy, or both. One easy life hack for this excuse is to invest in a collapsible water bottle. They are lightweight and fold up very small when empty, which means they won’t take up precious space in a compact travel bag. You’ll also save money (and help save the planet!) by refilling this bottle instead of buying plastic ones. Keep it empty when you arrive at the airport, but after you go through security, most airports will have stations to refill your bottle for the flight. Back on the ground, having a refillable container with you will make it easier to hydrate throughout your trip. All you need is an occasional stop at a water fountain to refill--no need to find a watering hole each time you need a quick sip. The air in the average airplane cabin contains less water than the Sahara desert. This means you should be drinking even more water than normal when you’re flying--at least 8 ounces per hour. You may want to avoid having to leave your seat to go to the restroom repeatedly, but remember that sitting sedentary for long periods of time is also unhealthy. If anything, having to use the bathroom is added motivation to stand and stretch your legs now and again. The same applies if you’re traveling by car, too--while it may be tempting to not drink water so you don’t have to pull over at a rest stop every few hours, this is actually a healthy impulse and your body will thank you. While you may arrive at your destination a little later, you’ll likely be less restless and tired when you do. Regardless of your water consumption during the day, it’s easy to hydrate first thing in the morning and when you’re winding down for the night, provided the water is safe to drink where you are. Try to drink two cups of water right when you wake up and two cups before bed. Processed foods full of salt and added sugars can actively dehydrate you and should be avoided while traveling. Naturally, the biggest culprits are convenience foods marketed especially toward travelers--fried food, salty packaged snacks, and sugary drinks. An ice-cold Coke may seem like the most refreshing beverage to enjoy while traveling on a hot day, the relief will be short-lived. The same goes for alcohol and coffee; when you’re looking for a pick-me-up or a way to wind down--either on the ground or in the air--remember that both alcohol and coffee are diuretics. This means they cause fluids to pass through your body more quickly, which can lead to dehydration if not paired with enough water. Just like some foods can dehydrate you, other foods can help you stay hydrated while traveling. Bananas and coconut water are both full of potassium, which helps your body retain water. Eating water-rich foods can also help you stay hydrated, so seek out fruits and vegetables like watermelon, pineapple, cucumber, and berries. Oatmeal and chia seeds are also hydrating, because they absorb a lot of water when prepared (think of those delicious chia seed pudding cups you’ve seen in cafes!). Pair either with a big glass of water at breakfast to help you stay hydrated throughout the day.